There’s an overwhelming amount of apps out there (approximately 1.3 million for Android users and 1.2 million in Apple’s app store with around 75 billion downloads and 300 million views a week). But how do you know which ones to download? Which ones are worth paying for? How to differentiate between Google and Apple maps? Airbnb or Hotel Tonight? Tinder or Bumble? We’re in search of answering these questions and each week we’ll be bringing you our weekly app pick. Introducing the Tinder for travellers, Ventoura connects its users with locals and fellow travellers in the area. Ventoura is the latest startup to attempt to break into the travellers market by building a peer-to-peer matching platform. The recently launched app is already creating a buzz in the travelling community by offering users a way to find virtual drinking buddies around the world, before they even step off the plane. Big cities can be intimidating, especially for first time or relatively new travellers. Ventoura eases some of this stress by linking travellers following a similar itinerary as well as providing users a way to meet and talk to locals, who can give them the inside scoop. Ventoura is a gateway for travellers to get off the beaten path and who want to explore a city’s local secrets and hidden gems from those who know it best. Experienced travellers know you’re in the right place in any given city when you’re surrounded by locals and not tourists. While the app grants users the ability to create relationships with other travellers in the area, it also appeals to the local flavour by giving people the opportunity to act as local guides – and make a pretty penny while doing so. Let’s be honest – you want to explore the city but you don’t necessarily want to do the sightseeing tour. It’s stuffy, there’s plenty of old people and they never let you touch anything. Ventoura offers users a much less rigid experience, which covers a wider range of activities, at a fraction of a cost. So, how does it work? Set up your Ventoura account by simply logging in with Facebook and choose either a traveller or local (or both) account. 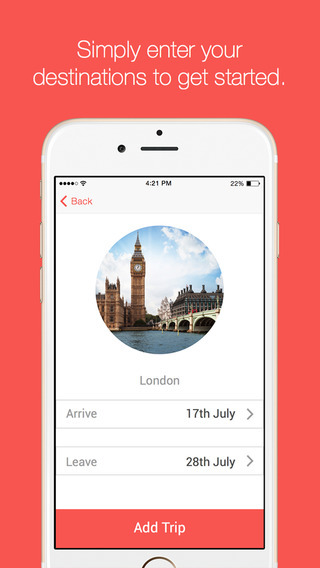 Travellers can input their itinerary by selecting their destination and departure/return dates and are instantly connected with the local community and fellow travellers in the area. 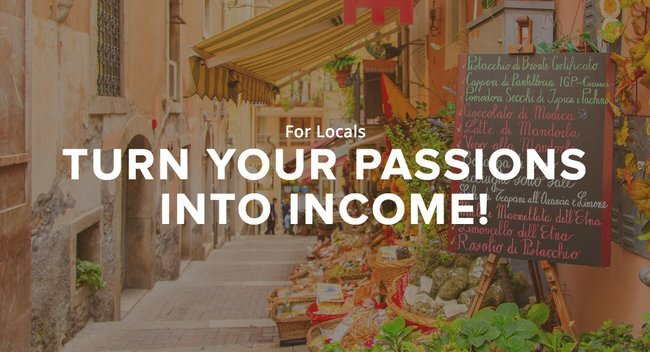 Locals become guides by selecting their city (currently only offered in European countries) and choose from a range of tours: foodies, hidden gems, local spots, famous sites, etc. Next, guides select the price of their tour and preferred method of payment – PayPal or cash. 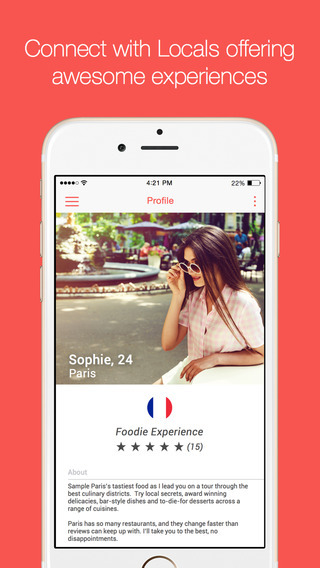 Then true to a Tinder-esque fashion, travellers and locals can begin to swipe left or right and voilà – you’ve officially started ventouring. While there are plenty of apps with similar functionality – and big names like Tinder and Airbnb already attempting to capitalize on this market – Ventoura co-founder, Raymond Siems, says there is still a large gap, of which Ventoura is trying to fill. The Finnish company has taken a mobile-first approach for easier to access payments and has a built in revenue stream that takes 18% of all transactions through the app. So far, Ventoura has received $250,000+ in seed funding and officially launched to the public last week. Discover the heart of metropolis’ by the locals that know them best. 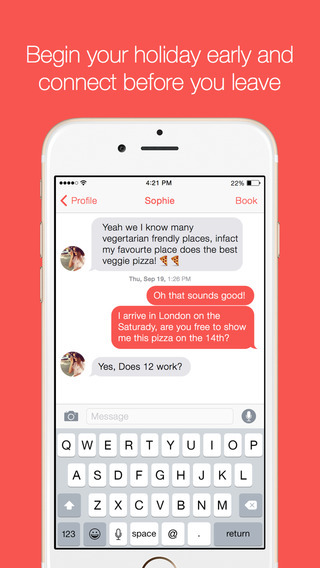 Ventoura allows users to move away from dating apps and meet like-minded individuals on the road and establish connections with locals you otherwise might’ve missed…all before you even get there. Locals acting as guides, are likely to be way more engaging and invested in travellers experiences as they can curate their tours to their own passions and interests. So, whether you’re planning a trip in a week or in six months, Ventoura gets you ahead of the game by connecting you to travellers and locals around the world.